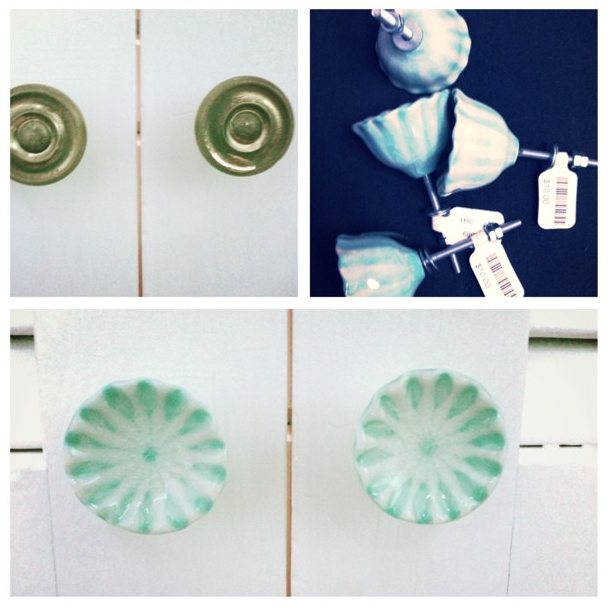 Maggie and I have been swooning over these Anthropologie knobs for a couple of weeks now. I knew I had to pull the trigger, so the next time I was headed out to an area somewhat close to Anthro, I decided to pull the trigger (babysitting cash in hand…). And I am oh so happy with the result! The new look makes things look just that much more polished! Now if we could only get art up on the walls…. and in Maggie’s room too… We slack in that way. Oh well!